One story ranch in a tranquil, park like setting near McKendree University. Large foyer w/hardwood floor invites you to the open and bright living room and sun room. Prepare meals in the large kitchen w/spacious countertops and wall of cupboards. Mornings are more cheerful in the adjacent breakfast room w/a view of the open spaces in the backyard. Cathedral ceiling accents the master bedroom w/a large garden tub in the master bath, complete w/separate shower. Walk-in closet with built-in racks complete the suite. Two guest rooms and a sitting room with large windows are located on the other side of the home for privacy. Brand new and upgraded neutral carpeting complements the beautiful hardwood flooring on the main floor. 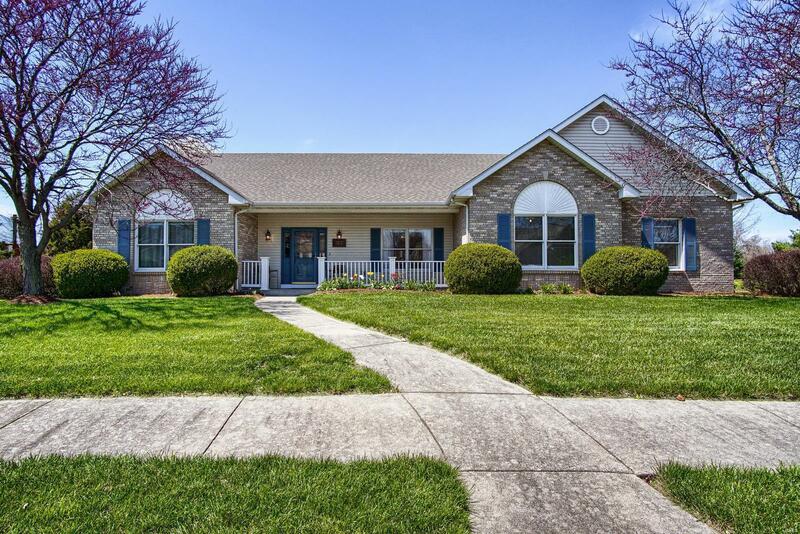 Wide staircase leads you to the full basement finished with a large recreation room, a guest bath, and a bonus room or study for complete privacy. Huge unfinished area for storage or a workshop awaits in the basement and another unfinished room for more storage.